It’s that time again! 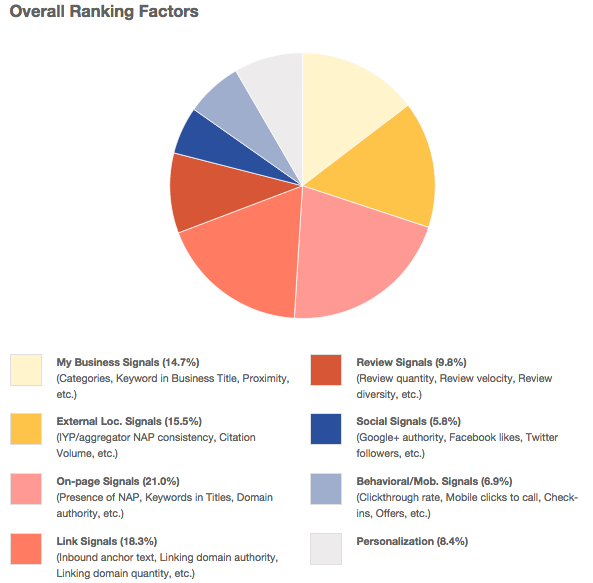 Moz has just released their 2014 Local Search Ranking Factors. 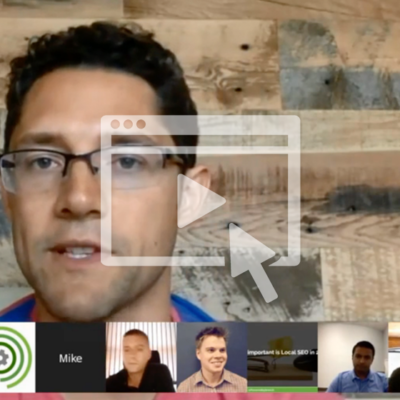 We’re honored to have our very own Matthew Hunt (COO of Powered by Search) and Dev Basu (CEO of Powered by Search) included! This year, Moz asked respondents to rate specific factors that contribute to rankings across both major results types (pack/carousel and localized organic). They also wanted to know which factors have increased and decreased since Pigeon was introduced. If you want to know how to choose the best citations to go after, then search your local keyword + local modifier for different cities and look at who is ranking in the Maps Pack. You want to look at those small local businesses (not the big brand businesses) and look at what citations they have. Find them and get them. Find out which businesses are doing the least amount of work and still ranking. It’s not always about volume, but about getting the ‘right’ local authority document(s) mentions. Work smarter, not harder. Getting backlinks still matter! Don’t let anyone tell you different. Again we have found it’s not about the quantity, but the quality of those links. If you want to rank better locally, try to get backlinks from authority industry verticals (ideally from pages that contain your cities local modifier in the Title Tag and H1 Tag) and get backlinks from local authority websites too. It’s not as hard as people think, if you just do some simple Google searches like “Shopping Listings + Local Modifier + Submit”. It will bring up quite few local based websites that accept submissions for local business listings. Local SEO, means searches with local intent, which means many of those searches and clicks come from mobile phones. If you don’t already have a responsive mobile friendly website… bloody well get one! With the Pigeon Update it just proves your most important asset is your website. If you were a small business or any business that relied on traffic from Google Places listings and that disappeared let that be a lesson to you to make sure your website ranks locally well. It should also be a lesson to make sure you have lots of solid traffic sources outside of Google too. We manage 100’s of locations listings and whenever I see a clients business that is NOT ranking in the local 7-pack and has a lot more relevant citations, age, and filled out Google Places listing, then I can almost guarantee the problem is inconsistent NAP info. In my opinion, one of the numbers #1 negative ranking factors is inconsistent NAP info. Make that your number priority if you are an established business who doesn’t already rank well. 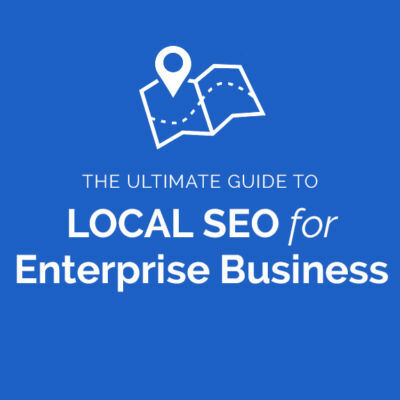 If your business has multiple locations and your looking to get them all optimized for local search. Click here to request a free 25 minute marketing assessment.